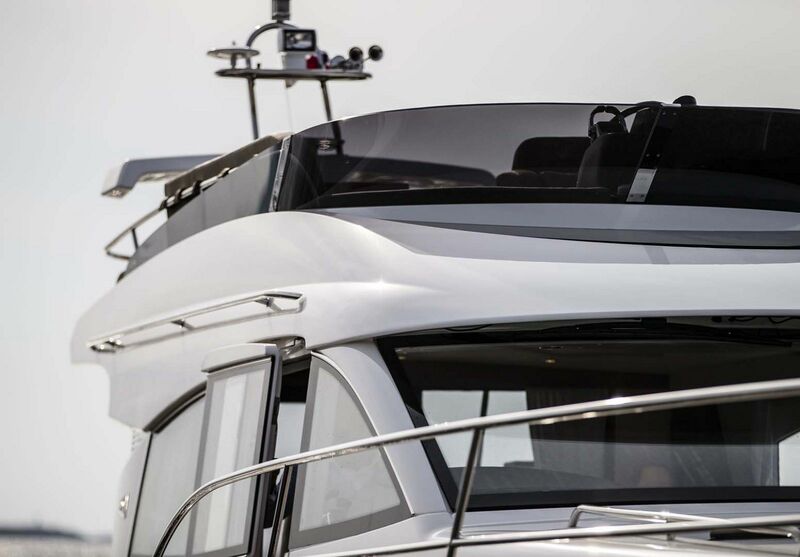 The new Nimbus 405 Flybridge was built with the same platform as the flagship 405 Coupe' model, but with the addition of a sporty bridge that gives owners an exhilarating experience when driving. 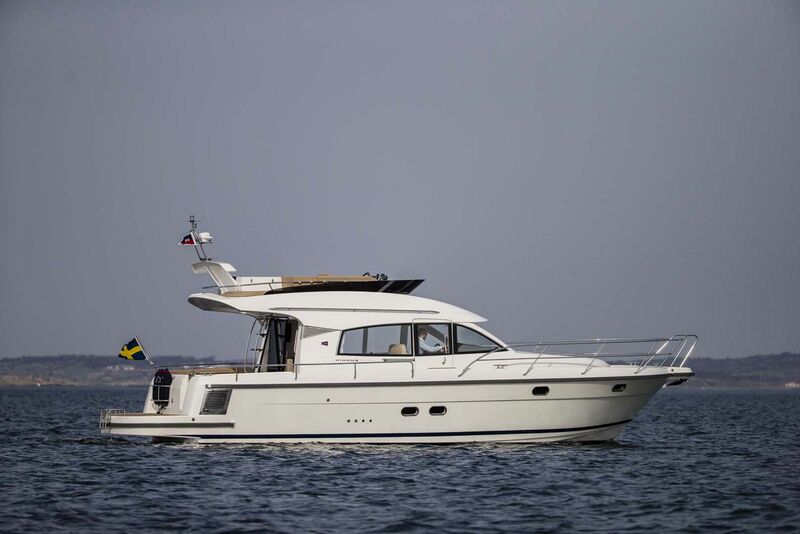 If boating is a social activity for you with friends and family on board, the Nimbus 405 provides many opportunities to sit and relax underway or at anchor. 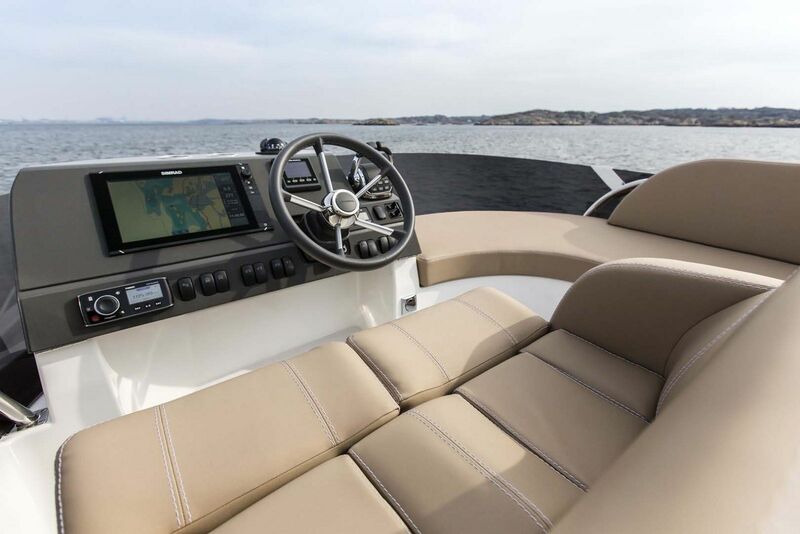 The flybridge certainly offers amazing views, but it also comes equipped with a comfortable L-shaped sofa next to the helm along with a wetbar, sink, grill, and fridge. The couch is also easily converted into a sun bed. 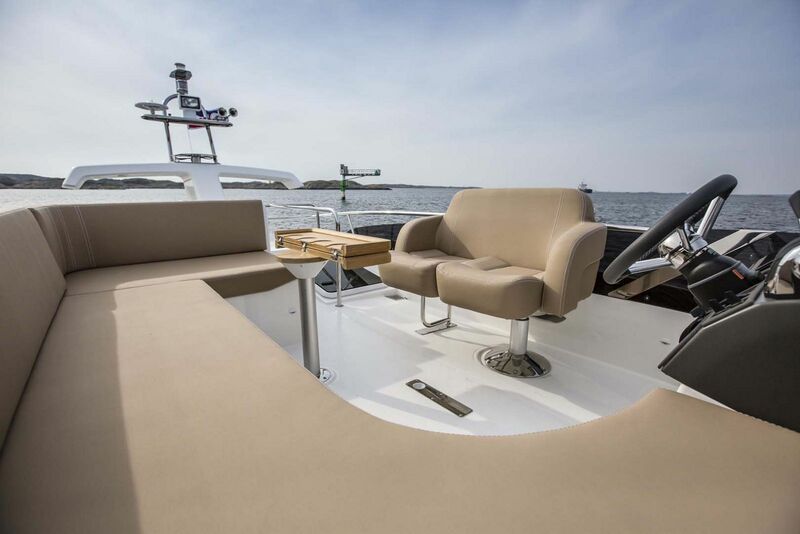 The interior of the 405 Flybridge is spacious and comfortable with a J-shaped couch and table raised off of the floor and offering a comfortable place for everyone on board to sit. Extended counter tops, a sink, refrigeration, oven, and lots of storage. Large, panoramic windows line the salon. 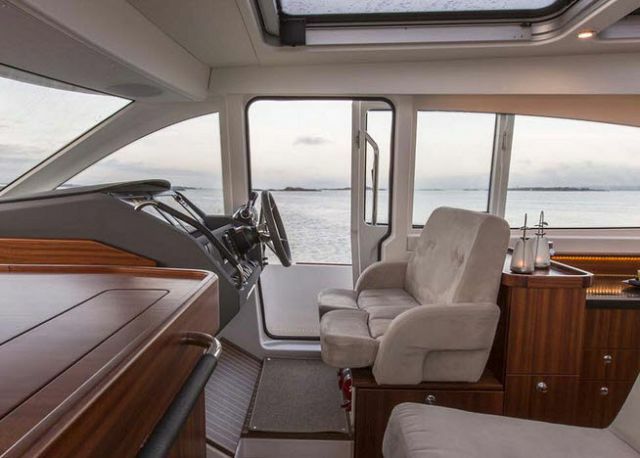 The 405 has three very comfortable cabins each with two berths, a shower and head with large skylights for an open feeling. 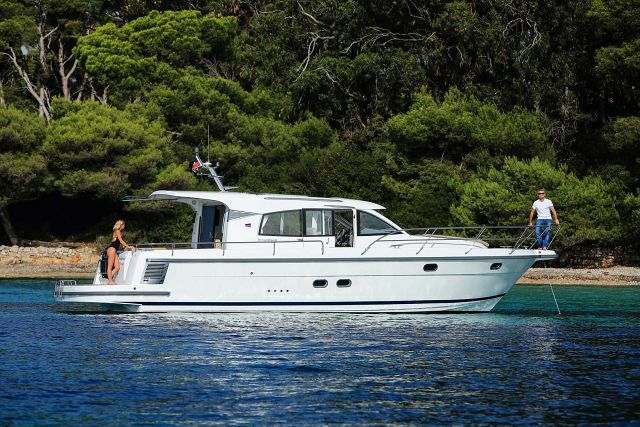 The Nimbus factory also built the 405 Flybridge with what they call a "Side-Walk" design concept. 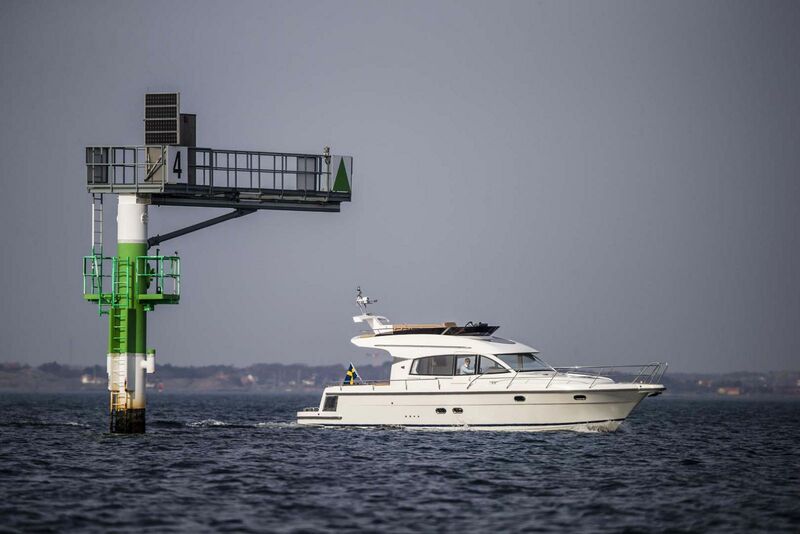 “Side-walk” is an asymmetrical deck layout where the side deck along the starboard side is extra wide and provides generous freedom of movement. 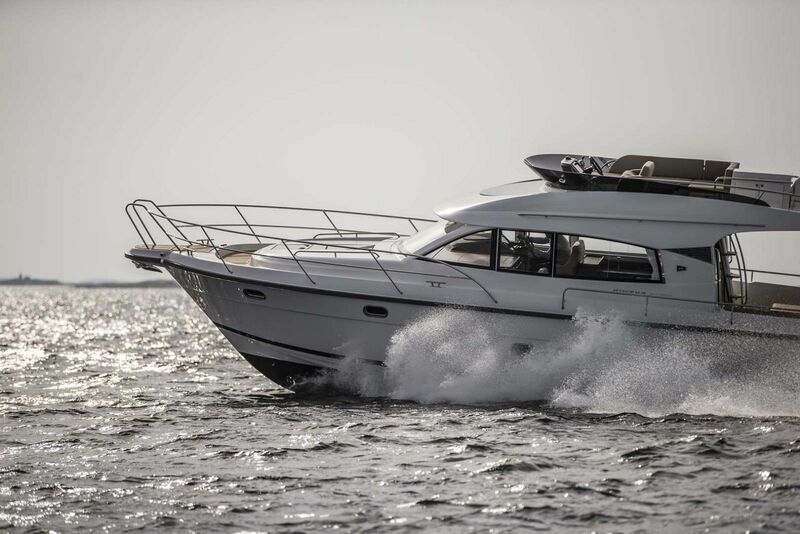 It becomes convenient and enjoyable to move about on-board from bow to stern and easy to get on and off the boat along the entire starboard side. 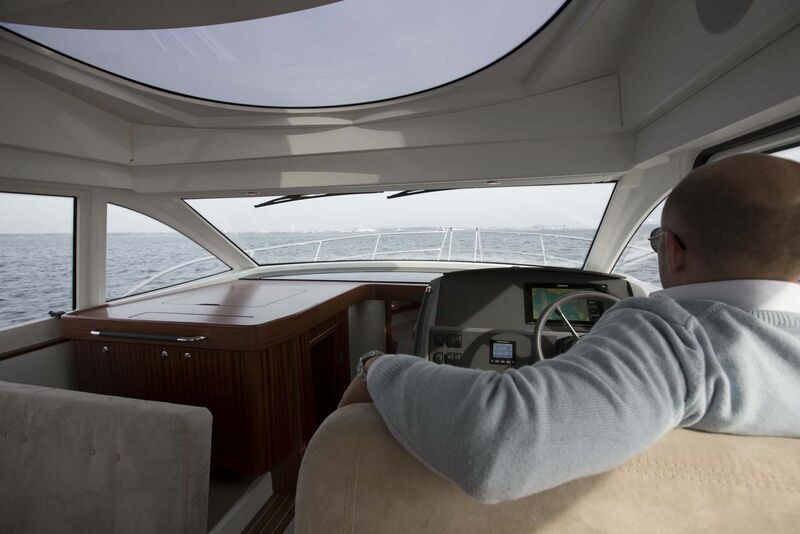 Maximum use is made of the interior volume, allowing the cockpit, saloon, lower deck and cabin to be larger than would otherwise be the case in a boat of this size. 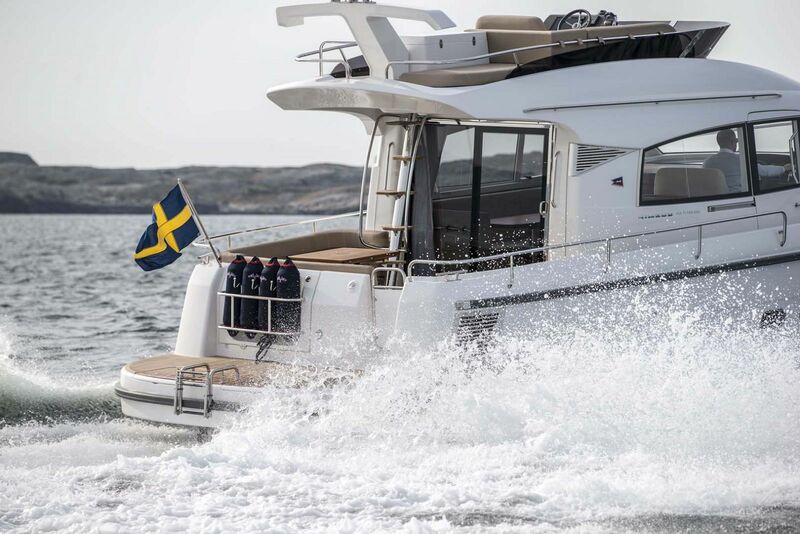 A feature of the Nimbus side-walk concept is the large flush fitted sliding door to starboard. 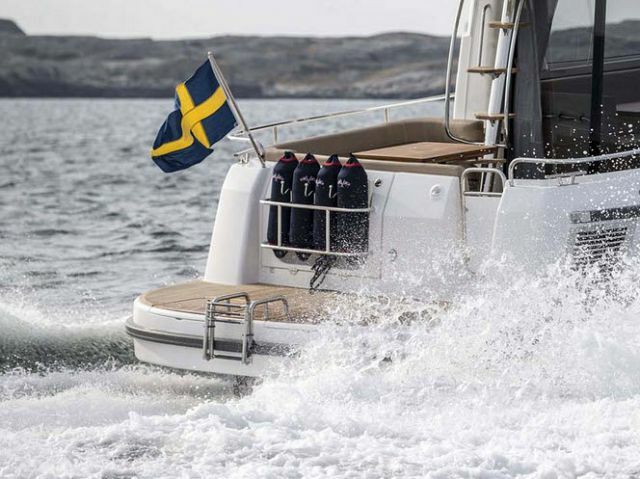 The sliding door provides quick access when laying alongside and enables maneuvering the boat from a standing position on the side deck. 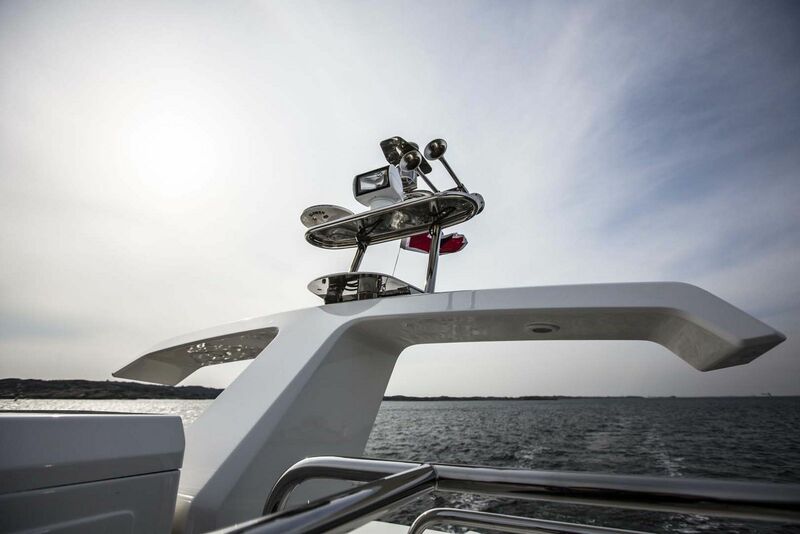 For more information on the Nimbus 405 Flybridge, please contact your Seattle Yachts Sales Professional today. Fuel Tank Capacity: 264 Gal. 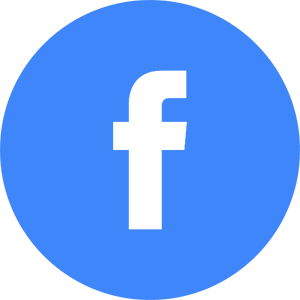 Water Tank Capacity: 105 Gal. 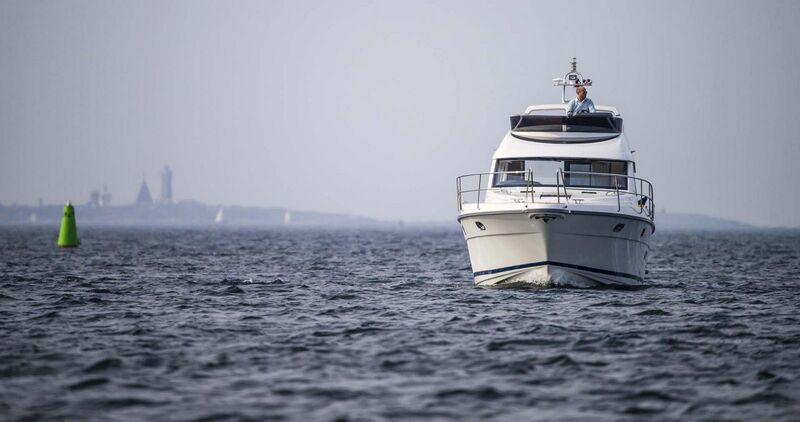 A boat for the conscious customer who enjoys social activities, comfortable living, easy handling and excellent long-distance cruising properties.